You know these days when you feel like you need to get a new look? You like variety, to change your look regularly, and you love colors? If so, you have got to be part of the got2b squad! Whether you’re a festival sparkle-queen, a party-animal, a bohemian wild soul, or you want to release your inner rebel side, got2b has you covered! Pimp your everyday life with colorful highlights, or go for the ombré look, or dare to go all-in with a full head look. What about a bold bright red, a trendy pastel pink, a radiant metallic silver or flashy neon yellow? Wanna be a Rainbow? Mix and match your favorite colors. Go Aqua (purple, pink, red) or Sunburst (blue, turquoise, purple)! 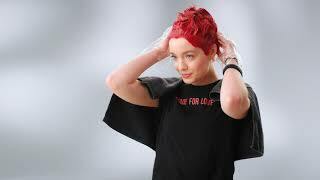 Go crazy for one week-end, and come back to normal on Monday with semi-permanent colorations. Rather a one-night stand? 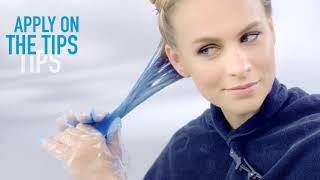 Color your hair with absolutely no commitment, it washes out in 1 shower. Check out some inspirational looks and reproduce it yourself at home by following the easy step-by-step instructions on our tutorial videos.